After using and cleaning your crock pot's removable ceramic liner, there occasionally will be a white film encircling the inside of the liner. This film is most likely caused by hard water. 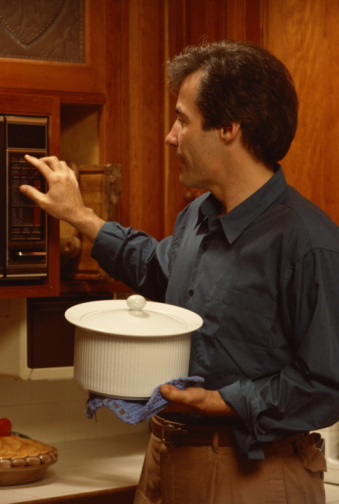 While this white film is unsightly, it does not affect the usage of the crock pot. Most instruction manuals warn against using harsh abrasives and scouring pads on the ceramic liner, so you must use a gentler approach to remove the film. This can be accomplished by using a combination of two things most people keep in their kitchens: lemon and vinegar. It is easy to clean a crock pot using lemon and vinegar. Place a clean ceramic liner in your crock pot base. Fill your crock pot one-half to three-fourths full with water. Add the vinegar to the water in the crock pot, and stir. 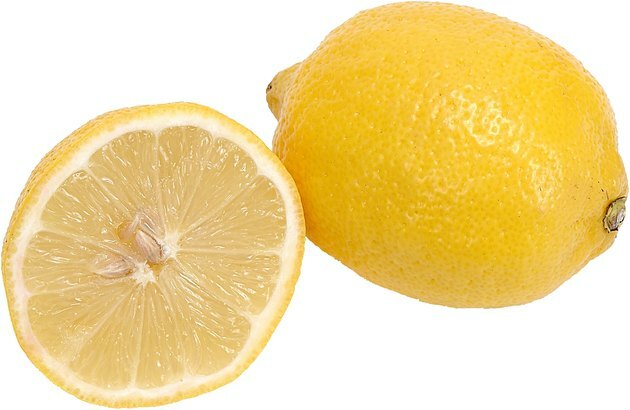 Chop the lemon into 1-inch chunks, and place them into the water and vinegar mixture. Plug in the crock pot, and turn it on high. Cook the mixture for approximately three hours. Turn off the crock pot, and let it cool. Discard the contents, and then rinse and dry the liner with a towel. Angela Hardgrave has been writing since 1996 in a wide range of areas such as grants, manuals and curriculum. She received a Bachelor of Arts in communications from the University of Mobile. Hardgrave enjoys reading fantasy, sci-fi and historical fiction and is currently working on a young-adult novel.